Captain Bryan “Bear” Holeman is living life large. This former football star has re-invented his life in the Key West after near disaster on the football field. Capt. Joan Vernon is a pioneer in the protection of billfish working with government to create policy protecting these apex predators of our oceans. Mark Melnyk travels to Florida/Bahamas and meets up with fishing guide, artist, and entrepreneur Vaughn Cochran, a true Renaissance man. Oliver White has been a fortunate man, but it hasn’t come easy. 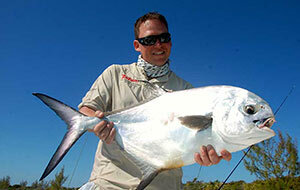 Abaco Lodge, Bahamas is his baby as he jetsets the world using fishing to make a difference. Alex "Xenie" Hall is an obsessive angler who insists on taking a photo of every fish he catches, and in episode 4 of Guided, Mark Melnyk dives into Alex's head to see what he's all about. Watch as Mark Melnyk gets a hook stuck in his face while fly fishing, and shares advice on how to fix the problem should it happen to you. After a lifetime of adventure at the ends of the earth, Capt. 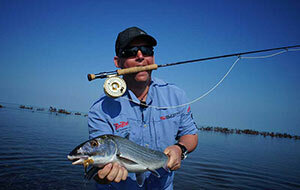 Mike Gorton is a Key West and Alaska guide who's up against one of the toughest tests of his life. With over 20000 billfish releases, Capt. Bubba Carter is a living legend. 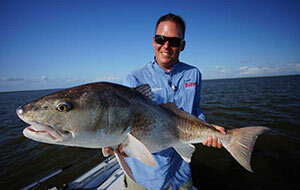 He's just been named to the top 50 charter captains by Salt Water Sportsman Magazine. Mark Melnyk travels to Lake Okeechobee's Martin's Marina to learn more about the lifestyle that fishing guides lead. 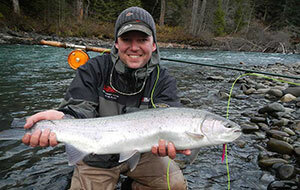 Mark Melnyk shares some setup tips for catching steelhead, including line choice and terminal tackle. 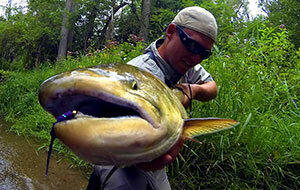 Fly Fishing Guide Alex Hall shows how to tie a quick and easy drifting egg pattern. 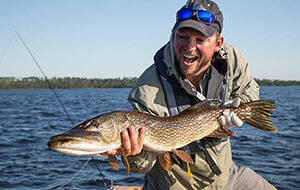 Guided with Mark Melnyk - an insiders look at what it takes to make it as a professional fishing guide.